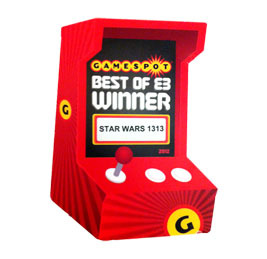 SW1313 at E3: 31 nominations, 10 wins. Two weeks on and the awards are just about awarded. 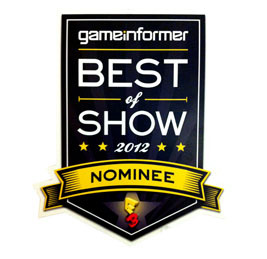 The last in (and reason for this update) is the Game Critics Award – Special Commendation for Graphics. Congrats again to the team, incredible achievement. You could say I’m biased, but who am I to disagree with the critics? Congrats to the team for their thirty-one E3 nominations, with ten confirmed wins! So I’m feeling a little guilty after awarding yesterdays Best of E3 to beautiful visuals alone; so how better to make it up than with The Last Of Us from Naughty Dog. You know it’s going to play well, and what stands out from this small sample of gameplay footage is the beautiful transitions into and out of contextual animations – the hand-to-hand combat being a prime example, whether brawling or wrestling over a shotgun. It’s fluidity provides a real cinematic boost. Beautifully designed sets and well implemented AI supporting what looks like an interesting story, all pulled together with Naughty Dogs trademark epic moments and smooth interwoven gameplay-to-cinematic structure look to present a solid, compelling and complete package. How is this not going to be a hit? Although they’ve clearly been in production a while, this year really feels like the arrival of ‘next-gen’ games, with some running on current gen consoles. Certainly the largest visual jump in a while; graphics, animation, AI… and in the case of Watch Dogs, gameplay complexity too. Ubi present a nicely balanced investment across the board for what appears to be a consistent and incredibly immersive experience; can’t wait to get hands on. The Corridors of Lucasfilm #3 – The ILM Kodak Scanner. The Best 3 Albums You’ve Never Heard. The 2013 Animation Festival Jury is done! The Empire Strikes Back – Unseen Vintage Documentary. Games for the OCDs amongst us. The Corridors of Lucasfilm #2 – Bell & Howell Splicer. The Corridors of Lucasfilm #1 – Moviola. Study Interactive Rendering, for free. Berkeley: Foundations of CG, for free.